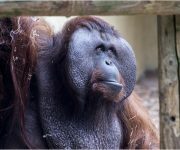 Thanks to everyone who hung out with us for our International Orangutan Day celebrations – we pulled in more than £400. 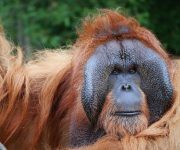 The £439.14 total, which will be split equally between conservation charity The Orangutan Appeal UK and our own fund to build a new £800,000 exhibit for our four orangs, was raised through games including … Continue reading Thanks for hanging with us! 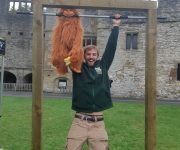 Huge thanks to DZG visitors who helped us raise £503 during International Orangutan Day. 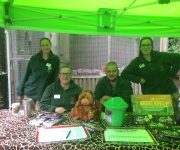 Primate keepers manned an information stand, as they raised awareness about the threats facing the critically endangered Bornean orangutan. And through orang-themed raffles and sales of nectar pots in Lorikeet Lookout we were delighted to raise the funds, which we’re splitting … Continue reading Great day for apes!